Taylored Expressions: 'Tis the Season! I colored in the image using some Zig Clean Color Real Brush Markers, then layered the image over some Cherry Pop cs. 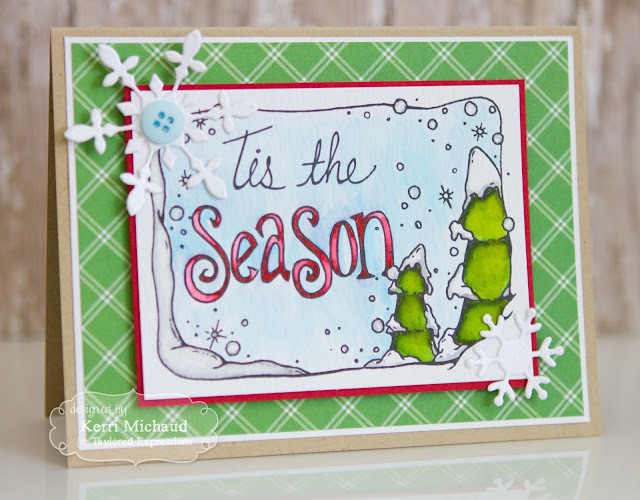 I added the snowflakes using the TE Make a Snowflake Dies and popped that up over some American Crafts Christmas dp. I used some Toffee cs for the base and it was complete! Super simple but super cute!